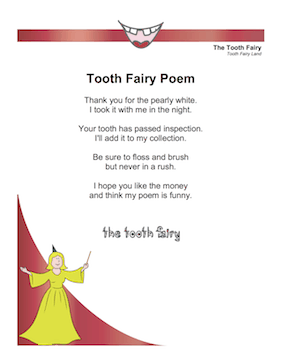 An alternate to a standard letter, this poem will have your child laughing about losing a tooth. Thank you for the pearly white. I took it with me in the night. Your tooth has passed inspection. I'll add it to my collection. but never in a rush. and think my poem is funny.